Four-star golf in anyone's book. Unlimited golf — unlimited happiness. Your next round is right here. 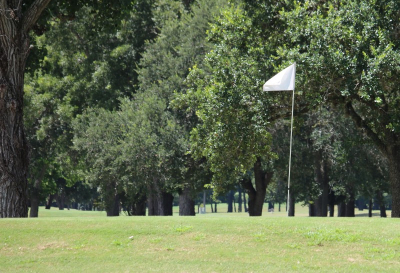 Nestled in the heart of Southern Texas, Riverside Golf Course in Victoria is a public 18-hole golf facility that brings some of the best golf to the region. The original 18-hole course, comprising the red and white nine-hole layouts, was designed in 1945 by Ralph Plummer and opened in 1953. Placement of tee shots is critical, with several tree-lined fairways, water hazards and strategically placed trees that have grown to the size of original design. With four groups of tees available, there is a setup and yardage combination for all levels of ability. Golfers frequently see deer and other wildlife roaming the course, creating an atmosphere worthy of the same hospitality you'll get from our staff. Book your tee time online today and drop in for a great round of golf!